Velan Super delivers top-notch and reliable SMSF accounting services to accounting firms and chartered accountants, all over Australia. We combine trusted expertise and quick TAT to deliver stellar results time and again. 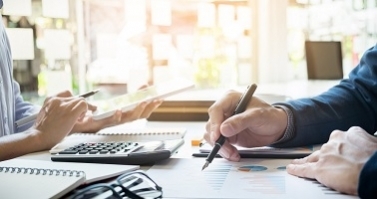 Read on to discover our SMSF accounting services and how we can help you gain a significant edge over your competition! Prepare for quick and quality SMSF outsourcing! Stay competitive in an ever-emergent industry. Velan Super offers outsourced SMSF accounting services for Accounting Firms all over Australia. We’re among the most trusted and most reliable SMSF accounting service providers. Your dream of spending less time "in" the business and more time "on" the business can come true when your outsource to Velan Super. Did you know that Outsourced SMSF accounting can help you save over 45% on in-house costs? SMSF Accounting: By outsourcing your SMSF Accounting services to an expert organization such as Velan Super, you get instant access to a vast team of seasoned specialists! Our professional solutions are reliable, quick and highly accurate. We’re your one-stop-shop for high-quality Annual Financial Statements. Our simple process workflow of “Upload | Process | Update” is a robust and tested method of seamless offshoring services. With more than a decade of experience in handling offshore business services for some of the biggest firms, Velan has now stepped into the SMSF outsourcing. Our 3-stage review process ensures you get the outputs of the finest quality! With Velan by your side, you have a highly proactive team who are self-organized and dependable at all times. SMSF Pre-audit Assistance: Our curated pre-audit assistance form our SMSF Auditing service offering. We use a comprehensive audit checklist and our accountants thoroughly review the audit work-papers for you. We deliver client packages with proper review comments just the way you’d want them. We have an inbuilt mechanism of review which makes it easier for you to deliver to your clients! SMSF Taxation: We offer SMSF Taxation services to Taxation agents who’re looking to get quick and reliable results in a jiffy. Our specialized taxation services ensure you get only the best-in-class services that go through stringent reviews before getting delivered. With Velan, rest assured you’re associating with an internationally certified organization. Instantly hire expert SMSF accountants! Outsourcing enables accounting firms to provide better service to clients and simultaneously control costs in-house. Although you may have invested in top-notch accounting softwares such as XERO, MYOB, SAGE etc., these investments fall short when it comes to getting the work done, which purely depends on the experience and skill-level of the manpower at work. While in-house manpower may send costs soaring through the roof – outsourced SMSF accounting services can help you deliver better quality at a lesser price tag! This is the major reason, accounting firms globally have shifted gears and quickly adopted outsourced SMSF accounting services. Velan Super is a trusted provider who pledges to deliver quality, on-time, for a significantly lesser price than your average in-house cost. So, what are you waiting for? Call us right now at +61-3-9034-9709 for quality SMSF outsourcing. Alternatively drop us an email at support@velansuper.com or click here for our contact form. Our executives will get in touch with you as soon as possible.